WASHINGTON — Veterans advocates are pushing back on a House plan to severely limit medical testing on dogs at the Department of Veterans Affairs, saying it will cut off vital research for America’s wounded warriors. But animal rights groups and supporters of the plan say the value of that work is greatly exaggerated, and that VA officials are misleading the public into backing procedures that are unnecessarily cruel. At issue is an amendment to an omnibus spending measure approved in the waning days of the House’s legislative session. It specifies that funding for VA operations in fiscal 2018 may not be used “to purchase, breed, transport, house, feed, maintain, dispose of, or experiment on dogs” as part of pain studies. Critics say that’s broad enough to force all canine research to stop. 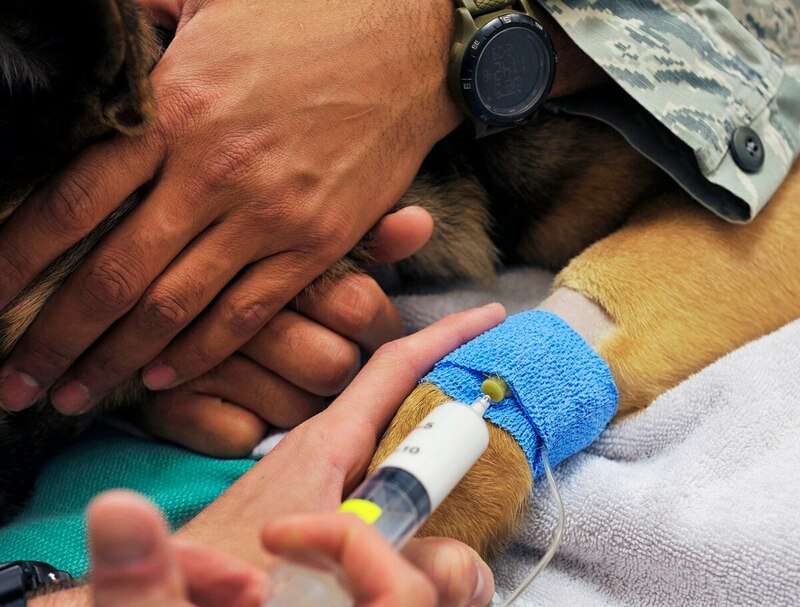 VA researchers have come under fire for medical tests on dogs in recent months after reports surfaced of the animals being subjected to induced heart attacks, invasive brain surgeries and a variety of stomach ailment simulations. That includes studies where larger medical devices are implanted, or where canine physiology is more similar to humans. That’s disputed by leaders at White Coat Waste, a bipartisan group of activists focused on taxpayer-funded animal experimentation. They say VA’s claims of medical advances are based on research from decades ago, and that more advanced and humane options are available now. In a US News editorial earlier this month, amendment sponsors Reps. Dina Titus, D-Nev., and David Brat, R-Va., said VA’s dog experiments “almost amount to torture.” They charge VA has been secretive about the continued testing while other federal agencies like the Department of Defense and National Institutes of Health have moved away from the practice. But VA officials insist they follow strict federal guidelines for the treatment of animals, and have sanctioned department researchers found in violation of those rules. “At VA, we have a duty to do everything in our power to develop new treatments to help restore some of what veterans have lost on the battlefield,” Fallon said. Gillums said he has yet to see evidence that an total end to medical testing on dogs could be replaced by other research methods. Without alternatives, he said cutting off the research amounts to ending hope for veterans struggling with spinal injuries, respiratory problems and cardiovascular ailments. The measure was passed without opposition in the House. Senate lawmakers will have to pass the language as part of their budget deliberations before it becomes law. Both Goodman and Gillums said they’ll be visiting senators offices in coming months to better explain their points of view. They also both said separately they would be open to talking with their opponents to discuss the issue, but so far no meeting has taken place.